Members of the hacktivist group Anonymous are denying the group has or plans to release secrets government documents detailing the activities of, coverups involving and autopsies on extraterrestrial alien visitors spending time on Earth to probe the ...... gastrointestinal secrets of imaginative, emotionally needy people in desolate rural areas. During the '50s and '60s, the UFO/flying-saucer craze was driven by rumors of strange aircraft, sightings of aliens and a crashed alien spacecraft was recovered by the U.S. military near Roswell in 1947, all centered around the remote Air Force facilities on the federal reservation near Roswell, N.M. known as Area 51. Many of the sightings were real, according to admissions in 2009 from scientists and engineers working at Area 51 during the '40s and '50s; the sightings weren't flying saucers, though. They were more likely to have been of the nearly 3,000 test flights of a plane code-named A-12 Oxcart, which became the altitude- and speed-record-setting SR-71 Blackbird, which flew so high and so fast pilots and civilians who saw it often believed humans could not be at the controls. Anonymous is about to burst that comfortable bubble of denial with the real story behind the alien visitations, according to analysis by UFO activist and Internet radio talk-show host Jeffery Pritchett, who tentatively endorses the possibility that the hacktivist group really is behind a YouTube video of uncertain provenance that promises to disclose the real story behind decades of government conspiracies. "Anonymous claims to have UFO & alien info. We do? This is news to us!" responded YourAnonNews, a primary source of news on the collective. "Anonymous coven denies UFO agenda video and mocks Alien life, Seriously? Sequel to article from Monday,"Pritchett responded in his own Twitter feed. In a blog on his personal site, Pritchett criticizes the Anonymi's dismissal of the possibility that some other Anons did "have the knowledge of the Illuminati and will share this information with you," as he quotes from the original "Anonymous" video. "'We can perceive why those withholding this knowledge are doing so, but completely disagree, with that policy. It is every human’s birthright, to be given the truth regarding reality and our place in the universe,' [according to the "Anon" video]. They go on to say that they realize that many people will not believe the details when they release them. Do you think you will doubt, or will you realize it is true? Check out the video below. What do you think?" – Jeffrey Pritchett, The Church of Mabus, May 8, 2012. Does anyone from Anonymous confirm that members have hacked the imaginary databanks of the Illuminati and stolen secrets about aliens visiting Earth and affecting events throughout human history? "We are leaking info on Aliens? That's hogwash! Damn hippie. Get ready. - # Anonymous," – YourAnonNews_, May 8, 2012. That may not settle the question. 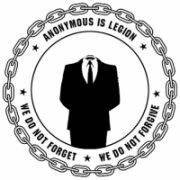 Anonymous isn't a cohesive group whose leadership approves all leaks, all new projects and all ominously threatening videos. So it's possible some fringe band of Anonymi have obtained and plan to disclose super-secret data hacked from cabals whose existence has been kept so secret they turn out never to have existed at all. Certainly it's possible from the point of view of conspiracy theorists, who take proof their alien-visitation events never happened as evidence the conspiracy to hide them is even more devious than they thought. From the point of view of the rest of us – those who have never been kidnapped on a dark country road or probed for any but medical or recreational purposes – this little conspiracy drama is not evidence we have alien visitors or the ability to dox them. It is evidence only that Anonymous has become a big enough name and big enough target to be trolled repeatedly by punks with ridiculous stories about releasing a hacker operating system, hacking Facebook, taking down the Internet or revealing the secrets of alien visitations. What else can you expect of a "villain"overhyped by censors trying to gin up support for a cybersecurity bill or so well known it makes an appearance in the demo for the upcoming second version of the Black Ops edition of Call of Duty? That's a pretty dramatic sign of disrespect, unless you compare it to the way police troll hackers: with secret informers, recorded conversations and federal indictments.